When some brands and publishers revealed their data on dark social, I was shocked and felt it was time to share some actionable social insights with CMOs. If 90% of your content and link sharing would happen in dark social versus 10% of your shares on Facebook and Twitter, would you as CMO care? 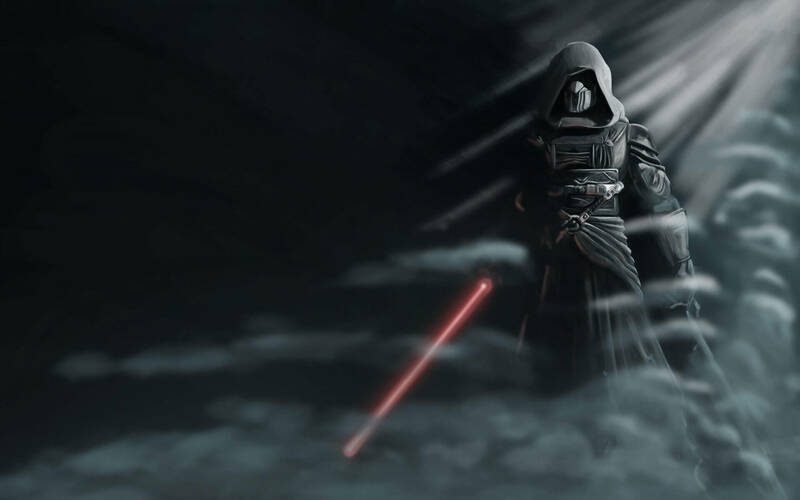 Talking about heroes, I put on my Darth Vader outfit – including a brand new, black skinny legging – and decided to discover the dark social universe. The Power Of Dark Social And Why CMOs Should Care? 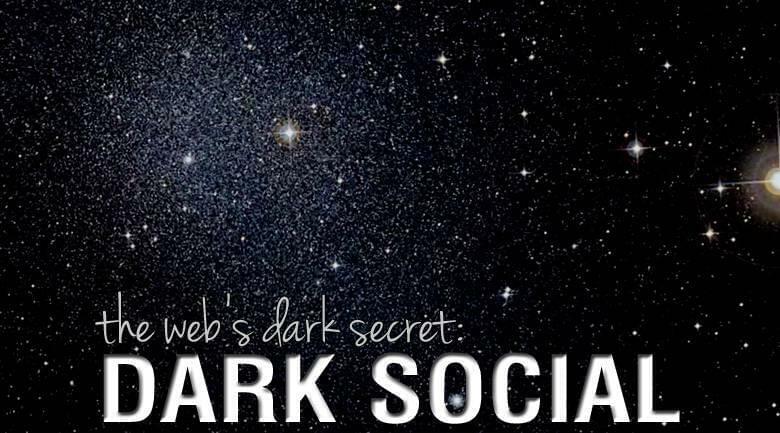 The term dark social was coined by Alexis C. Madrigal, tech editor at Atlantic.com in 2012, to describe web traffic and website referrals that comes from ‘outside’ sources that web analytics are not able to track. 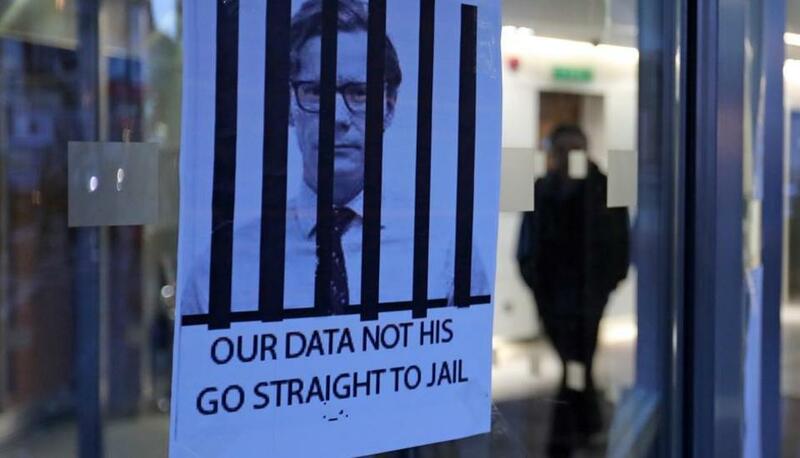 According to Madrigal, data from the web analytics firm Chartbeat revealed that 56.5% of the Atlantic’s social traffic was from dark referrals. When Chartbeat analyzed a broader set of websites, that statistic rose to almost 69%. Web metrics specialists refer to dark social when people are sharing content or website links via private digital communication tools such as: e-mail, WhatsApp, WeChat, forum posts, private chats and mobile apps. Dark social traffic doesn’t seem to have a specific source, which creates a challenge for brands and media owners that are trying to monitor website referrals and social media activity. Because dark social links don’t have tracking code automatically appended to their URLs, it is not possible to know how the website visitor found the content. In the past, being the founder of an international social marketing agency and later as global chief social officer for WPP, I created and used this content assessment chart for leading global brands. This simply methodology, created as a balance score card, increased ROI of content marketing significantly. Click it to enlarge it. CMOs should see dark social as a tremendous marketing opportunity. That’s why so many brands and media owners depending on digital and social media are now awake. 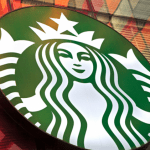 They are now all realizing the value dark social represents in understanding real-time consumer interest and intent. It’s a large and accurate data source that, once harnessed, can be used to convert valuable potential new customers for brands and new audiences for publishers and broadcasters. So content marketing, owned and earned media can now all be much more efficient, since discovering your blind (or dark) spots will lead to a more efficient marketing spend. As you track your campaigns across the web, it’s important to know exactly where and how your content (and ads) are performing, so that you can pull or push your budget towards the right areas. Marketers should facilitate content sharing to create organic growth and earn attention. How can they do that? By understanding that data, content delivery and content distribution should never be separated. It takes an integrated platform that combines the power of data collection, data management and real-time media delivery to make social insights actionable. Some examples? Po.st by RadiumOne and Bitly URL shortener and link management platform. Another benefit most marketers have discovered now? Short URLs are very handy when your social posts have very limited number of characters. Next, similar short URL platforms offer marketers the needed integrated dashboards, with benchmarks and balance score cards. About a year ago, Time Inc., Britain’s leading publisher of printed and digital magazines shared the results of a Digital Conversations study it had conducted in Europe over the course of six months, covering the impact of dark social. The company is Britain’s leading publisher of print and digital magazine content, with more than 60 iconic brands including Marie Claire and NME, which it used in the study. Time Inc. found that people share content in an extremely personal way and are more likely to narrowcast to acquaintances rather than disseminate widely via social media. They discovered that, in a typical month, there were 18,908 instances of users choosing to copy text from the Marie Claire website and share it with friends via e-mail. This is compared with 1,747 instances of users sharing via Facebook and Twitter. Similarly, on NME.com, there were 44,850 e-mailed shares compared with 5,674 shares via Facebook and Twitter. Together across Marie Claire and NME.com, this data reveals that 90% of sharing happens in Dark Social versus 10% on Facebook and Twitter. Be aware this data is almost one year old. Today Facebook and Twitter have conquered a few more planets in the social universe, but dark social’s share is still over 50% in 2015. My analysts found another surprising insight when gathering all the information for me: It’s not the generation screenagers that causes the bulk of dark social shares. 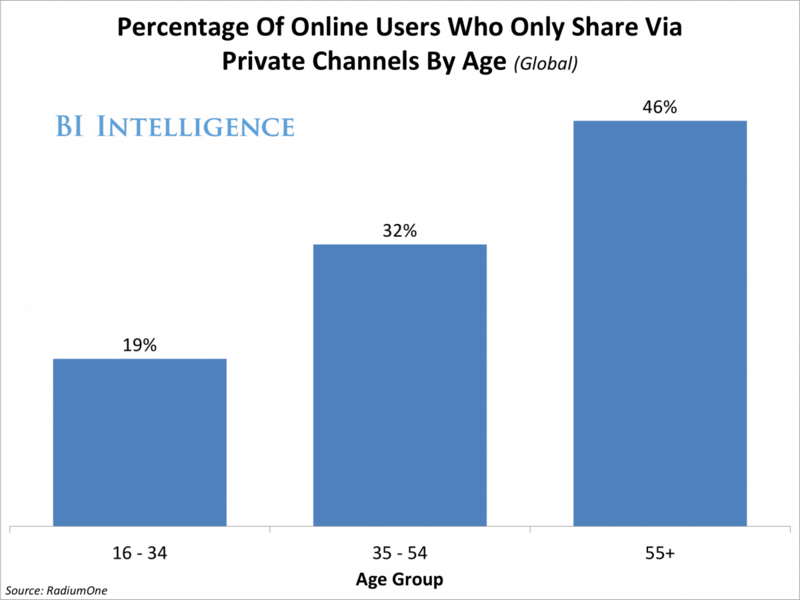 Almost 50% of users of 55 years or older only use private (dark) channels for sharing online content, compared to 19% of users between 16 and 34. 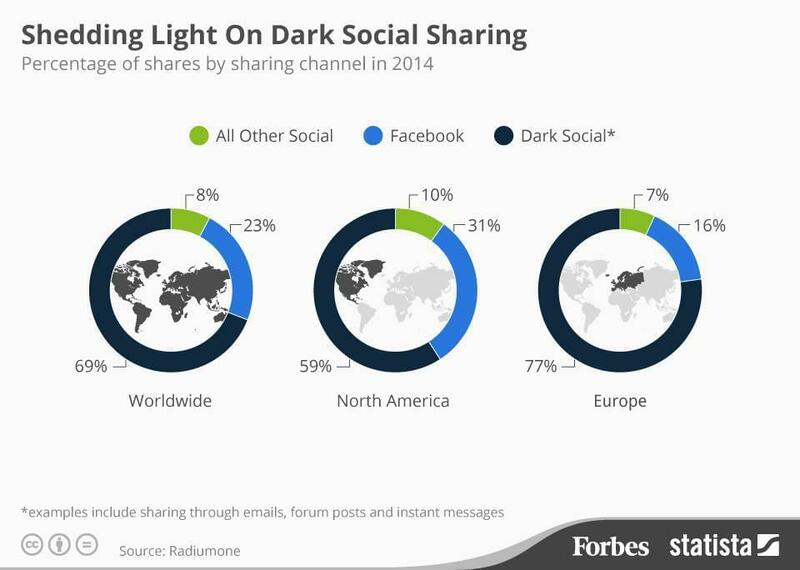 Download the full study on dark social conducted by RadiumOne in 2014 (PDF). The report includes case studies from Universal Music Group, Team Sky and chocolate manufacturer Ghirardelli. Flying around in my brand new, black skinny leather legging was a joke. And I know that Darth Vader is a heroic but fictional character from Star Wars. Dark social however is serious business. If you embed it to your digital marketing strategy, your business will grow in significant ways. 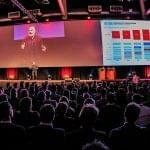 On stage I often speech about: New marketing is about relationships, not the medium. However, with 900 million active users on WhatsApp and 600 million on WeChat, the power of dark social is huge enough to get it on your radar. Brands, publishers and broadcasters have the exciting opportunity to harness dark social and short URL sharing with an integrated real-time platform to understand consumer interests and intent much better. Acting upon those new dark social insights in real-time, that will increase the ROI of your content marketing and on your POE media investments significantly. May the math be with you my fellow Darth Vaders. I look forward to hear how you have conquered the dark social universe. Previous Why Amazon Is A Search Engine That Will Take On Google? aspiring writers? I’m planning to start my own website soon but I’m a little lost on everything. Would you advise starting with a free platform like WordPress or go for a paid option? There are so many options out there that I’m totally overwhelmed .. Any suggestions? Bless you! Thanks. Showing your writing skills should be platform independent and WordPress is a great platform! Use it. You will love it.